Judging by the rhetoric coming out of Tehran, John Bolton’s appointment as America’s National Security Advisor is the worst thing that ever happened. Iran’s protests validate the wisdom of making John Bolton America’s National Security Advisor. If Iran thinks he’s bad, he must be good. One thing is certain: the United States will no longer pursue a policy of appeasement toward the Islamic Republic of Iran. Since 2008, U.S. policymakers have been bending over backwards to accommodate the mullahs in Tehran. President Obama’s decision to withdraw U.S. forces from Iraq left that country at the mercy of Iran. Obama’s capitulation in Syria allowed Iran (and Russia) to keep Assad in power and to wantonly massacre hundreds of thousands of Syrians with impunity. The lifting of sanctions as part of the nuclear deal put $150 billion into the pockets of Iran’s leaders, which they have used to finance the terrorist depredations of the IRGC and to bankroll their proxies in Lebanon, Yemen and Bahrain. Iran’s regional neighbors are not the only ones who have suffered from the revolutionary fervor of the Islamic Republic’s leaders. Iran is the most repressive country in the Middle East. It executes more of its citizens, per capita, than any other country in the world. Ninety percent of all executions throughout the Middle East take place in Iran. The recent uprisings in over 140 cities throughout Iran show that the people are sick to death of this theocratic dictatorship. They long for freedom, justice, democracy and the rule of law. With John Bolton, America finally has a senior official who will translate these wise words into action. 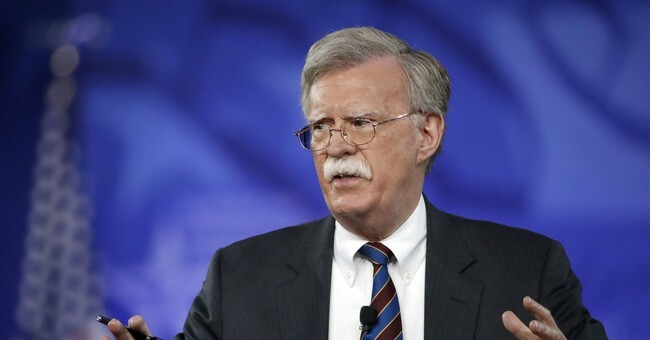 Critics in Iran and the United States have condemned Bolton’s affiliation with the exiled Iranian opposition group, the Mujahedin-e Khalq (PMOI/MEK). Here, John Bolton is in good company. A bipartisan group of American luminaries and international leaders have lent their support to the group. They include, among others, Senators Joe Lieberman and Bob Torricelli; Mayor Rudy Giuliani, Speaker Newt Gingrich; retired Generals James Jones, Hugh Shelton, and James Conway; former Homeland Security Secretary Tom Ridge; former Attorney General Mike Mukasey; former FBI Director Louis Freeh; former Democratic National Committee Chairs Ed Rendell and Howard Dean; former Ambassadors Bill Richardson, Lincoln Bloomfield Jr., Marc Ginsberg, and Kenneth Blackwell; former French Foreign Minister Bernard Kouchner; former Italian Foreign Minister Giulio Terzi; former Canadian Foreign Minister John Baird, and former Algerian Prime Minister Sid Ahmed Ghozali. Support for opposition political movements is not a crime, and the United States has a long history of helping the victims of political persecution. Over the course of four months, during the summer of 1988, the Iranian regime executed an estimated 30,000 men, women and juveniles who had been imprisoned for their affiliation with MEK. During Operation Enduring Freedom in Iraq, the U.S. Government pursued a policy of protecting MEK members there from attack by Iranian-affiliated forces. On at least two issues, there should be no doubt: accommodating the Iranian regime will not bring peace to the region and the people of Iran want change. With John Bolton at the helm of the National Security Council, there is at last a glimmer of hope that the period of appeasement is over and that the mullahs’ days are numbered. Mr. Ereli was the U.S. Ambassador to Bahrain and Deputy State Department Spokesperson during the George W. Bush administration.